UPDATED NEW BROCHURE AVAILABLE TO DOWNLOAD BELOW! Latest registrations: Lockheed Martin, Hensoldt Optronics, Hungarian Defence Forces, ATDU, TenCate, WL Gore! Our position supporting Vehicle Protection Systems (VPS). The collateral damage question surrounding active protection systems: What are the key challenges? View details Microflown AVISA Sponsors and Exhibitors http://www.microflown-avisa.com Microflown AVISA is NATO’s unicorn in the domain of battlefield acoustics. Exploiting the benefits of true acoustic vector sensors, instead of sound pressure transducers/microphones, the company offers low SWaP Acoustic Multi Mission Sensors (AMMSs) that can be mounted on all sorts of mobile platforms, including vehicles of course. A subarray of four AMMSs on a vehicle deck is called a CASTLE. The CASTLE can be enriched by a weather station and GPS based positioning system, including anti jamming/spoofing. Stand alone, a CASTLE improves the survivability of the vehicle and its (dismounted) crew by offering a superior acoustic localization of gunshots, also when the vehicle itself is driving and or shooting. Apart from small arms fire, also board canons of hostile weapon platforms up to 40 mm can be localized. A CASTLE also points in the direction of heavy ground vehicles, attack helicopters and drones. Furthermore, a CASTLE also alerts against incoming subsonic ATGM round or similar. Connected by software defined radios, a few CASTLEs are able to localize hostile heavy ground vehicles, their shooting positions and to conduct blue force fire control. It shortens the sensor to shooter cycle whilst reducing the vulnerability to degradation of overall RF communication. In a larger mosaic kind of network, the CASTLEs approximate the functions of an active, so vulnerable, weapon location radar, but then in a passive, distributed and unattended way. The 3 D shockwaves that come with supersonic rockets and artillery can be captured, allowing both target acquisition and the prediction of impacts. Hence, the CASTLEs bring robust and resilient capabilities to cavalry, artillery and infantry. View details Rheinmetall Defence Sponsors and Exhibitors http://www.rheinmetall-defence.com/en/rheinmetall_defence/index.php Rheinmetall Defence and its divisions Weapon and Munitions, Electronic Solutions and Vehicle Systems set the global standard for excellence in a wide array of disciplines. As Europe’s foremost supplier of army technology, Rheinmetall Defence is a longstanding partner to the armed forces of Germany, its NATO allies and other like-minded nations. Through rapid technological advances the proliferating threat of intelligent weapon systems is greater and deadlier than ever. For many years Rheinmetall Defence has specialized in developing and producing high performance components and innovative systems to protect people, vehicles, aircraft, ships and installations. 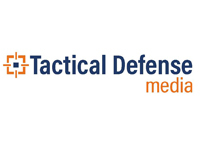 The company has also aggressively expanded its portfolio through numerous strategic acquisitions that include Rheinmetall Waffe Munition, Rheinmetall Chempro, Rheinmetall Ballistic Protection (formerly Verseidag) and Rheinmetall Active Protection (formerly ADS). As a result, Rheinmetall Defence is able to offer its customers a unique and comprehensive array of sophisticated protection technologies and capabilities. Rheinmetall Active Protection (RAP) is a leading pioneer in the development of reliable and precise hardkill Active Protection Systems (APS). The company’s Active Defence System (ADS) belongs to a new generation of standoff APS technologies. Developed to the rigorous engineering principles of the automotive sector, ADS is one of the world’s most advanced and effective systems for protecting military vehicles from RPG and ATGM threats. This highly modular system is suitable for almost any vehicle platform and offers numerous performance advantages over launcher-style APS, including a much lower radar signature and significantly less risk of collateral damage to dismounts or civilians. In 2016 RAP partnered with Michigan-based Unified Business Technologies (UBT) to develop and qualify StrikeShield, a MAPS compliant version of ADS being offered to the U.S. Army and Marine Corps. RAP is the first company to apply safety-critical design principles to APS development to deliver predictable and safe system performance. Now in our 15th year, Security Solutions International Inc. (SSI)is a global company that provides countries with the most updated information, products and training to confront the world-wide threat of terrorism. From across the USA to China, Singapore; from Algeria to Nigeria, in Europe, Israel and South/Central America, SSI tm has trained and provided products and services to more than 1000 agencies in Homeland Security, Emergency Management, Emergency Medicine, and specialized equipment training for the world’s premiere manufacturers. The company is proud to be the publisher of the Counter Terrorist E - Magazine, distributed in the US, Europe and Asia, in its 12th year! View details Homeland Security Research Corporation Supporting Media Partners http://www.homelandsecurityresearch.com HSRC provides premium off-the-shelf market reports on present and emerging technologies and industry expertise, enabling global clients to gain time-critical insight into business opportunities. All reports include in-depth information and analysis of emerging markets, technologies, and industries broken down by geography, market, vertical, technology, product, and revenue stream. Our reports support Homeland Security & Public Safety communities worldwide in their strategic decision-making process, providing up-to-date market knowledge, analysis, and insights. HSRC offers customized research services geared towards providing our clients with clear, actionable recommendations designed to empower decision-making and to help exploit emerging opportunities in the market. The customized research services provide a deep analysis of specific markets and eco-systems, target geographies, strategic segments and verticals, competitor analysis and technological benchmarks. The custom research services are provided as an ad hoc assignment or as an ongoing service. View details Tactical Defense Media Supporting Media Partners http://www.tacticaldefensemedia.com/ TDM publications provide readers with insights into DoD and homeland security program requirements and industry technologies, including mounted and dismounted protection systems, intel and comms applications, tactics, and training. Our mission focus is centered on collecting expert opinion regarding best practices and lessons learned through the eyes of military and civilian authorities, warfighters, and law enforcement. Microflown AVISA is NATO’s unicorn in the domain of battlefield acoustics. Exploiting the benefits of true acoustic vector sensors, instead of sound pressure transducers/microphones, the company offers low SWaP Acoustic Multi Mission Sensors (AMMSs) that can be mounted on all sorts of mobile platforms, including vehicles of course. A subarray of four AMMSs on a vehicle deck is called a CASTLE. The CASTLE can be enriched by a weather station and GPS based positioning system, including anti jamming/spoofing. Stand alone, a CASTLE improves the survivability of the vehicle and its (dismounted) crew by offering a superior acoustic localization of gunshots, also when the vehicle itself is driving and or shooting. Apart from small arms fire, also board canons of hostile weapon platforms up to 40 mm can be localized. A CASTLE also points in the direction of heavy ground vehicles, attack helicopters and drones. Furthermore, a CASTLE also alerts against incoming subsonic ATGM round or similar. Connected by software defined radios, a few CASTLEs are able to localize hostile heavy ground vehicles, their shooting positions and to conduct blue force fire control. It shortens the sensor to shooter cycle whilst reducing the vulnerability to degradation of overall RF communication. In a larger mosaic kind of network, the CASTLEs approximate the functions of an active, so vulnerable, weapon location radar, but then in a passive, distributed and unattended way. The 3 D shockwaves that come with supersonic rockets and artillery can be captured, allowing both target acquisition and the prediction of impacts. Hence, the CASTLEs bring robust and resilient capabilities to cavalry, artillery and infantry.